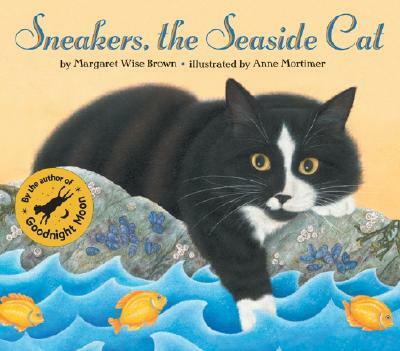 From the author of classics such as Goodnight Moon and The Runaway Bunny, Margaret Wise Brown, the perfect gift for cat lovers and beachgoers alike. On Sneakers' first trip to the beach, his curious paws find surprises in the sand. There's a mischievous crab, playful shrimp, and a shell that echoes the roar of the ocean. "Anne Mortimer's wonderful illustrations make this book a must have," said Children's Literature magazine. "Mortimer's depictions of Sneakers' wide face and his bright yellow eyes perfectly capture Sneakers' moods. They are also so lifelike that this cat seemingly could leap right off the book's pages, ready to prowl the sands of a sea shore near you."